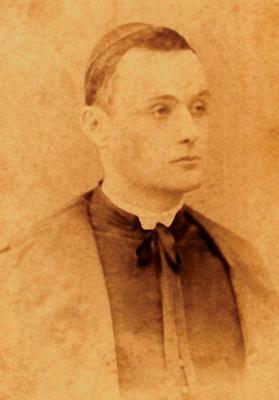 The Marquis Giuseppe Mallia Tabone. Right: The cast of the series Wenzu u Rożi shot on video by Għaqda Filantropika Talent Mosti, among them, from the top of the stairs, Joe Bartolo, Ġanni Muscat, Fredu Farrugia, Marthese Cassia, Alfred Cassia, Carol Spiteri, Louis Vassallo, Andrew Borda (in a top hat), Jimmy Chetcuti, Tonio Vella (Il-Majsi), Paċik, Grace Cutajar, and Il-Pespus. The oasis of culture and dreams in Triq Wied il-Għasel, Mosta. Dun Ġwann Mallia Tabone died during an air-raid warning in WWII on his way to Biżbiżija, a neighbouring hamlet, to say Mass when the horse pulling the cart he was on bolted. Driving from Sliema to Mosta and reaching the Birkirkara bypass I feel I’m driving through a parched canyon. Every time I drive along this pass, I notice fewer fields and more concrete walls. This pattern repeats itself all the way to Mosta. Is it possible that we’re not seeing the writing on the wall? I’m on my way to Razzett tal-Markiż Mallia Tabone, Triq Wied il-Għasel in Mosta. The razzett oozes what feels like a magical balm and an aura that embraces me, tucking me away from the unnerving traffic jams and the clanging of tower cranes. This 17th-century farmhouse, which had been used by the Marquis as a hunting lodge and had been left to fall into disrepair, is now an oasis of culture and dreams. This soothing effect seems to hover over the rustic building dominated by an internal yard and a lone room on the second storey. A room that nonetheless safeguards the tools and overall of sculptor Anton Agius, the gown of the cavalier order Mro Charles Camilleri belonged to, a tie of that renowned tenor Oreste Kirkop, and the costume worn by that grand old man of Maltese tenors, Pawlu Axiaq, for the opera Ernani by Giuseppe Verdi, to mention but a few precious mementos. A room downstairs is dedicated to a fascinating collection of hand tools that know our great grandparents. I had gone to the razzett to talk to Joe Bartolo, president for the past 20 years of the NGO Għaqda Filantropika Talent Mosti, which is the guardian of the farmhouse. The NGO is marking its 30th anniversary. A friend of Mr Bartolo’s who called to say ‘hello’ but stayed for a couple of hours points to a sledge hammer that was used to dress stone before the advent of machinery. “That’s a special hammer,” he tells us. “Look at these two angular notches on its head. With it you could strike a pattern on Tal-Qawwi, which is a very hard and compact limestone. The first three courses on the façade of a number of old houses consist of this type of stone because it is hardly affected by erosion and is almost impermeable to water. No wonder that scores of artists, writers and musicians among other creative minds have descended on this serene isle to exhibit their talent. Turning to Mr Bartolo I ask who was behind the seminal seeds from which Talent Mosti flourished. “The idea was the brain child of Edwin Vassallo and Reuben Caruana,” Mr Bartolo recalls. Mr Vassallo is now a Nationalist MP and Mr Caruana is in business. They roped in Mr Bartolo because he had first-hand experience as an actor in such TV series as Madonna taċ-Ċoqqa, Mbierek il-Għażż, and Peppinu. The team together with a battalion of about 200 actors staged the passion of Christ at the Rotunda in Mosta. Encouraged by the success of this and other plays, the group embarked on a more ambitious project – filming episodes based on the daily struggles that the peasant couple Wenzu u Rożi, romantically penned by lawyer George Zammit, went through. This was a light bulb moment because in 1987 videos had become the talk of the town. “This idea was good but it harboured a risk in that most of the people had watched a series based on the same stories on the state TV station. Thousands of videos were sold and about Lm10,000 (over €23,000) made from this sale were distributed to various NGOs among them Caritas, Id-Dar tal-Providenza in Siġġiewi and Font tal-Parroċċa in Mosta. So far over €70,000 have been donated to other NGOs from activities organised through the years. To mark its 30th anniversary, the videos have been turned into DVDs and are selling like water melons on a sizzling summer day. Initially, the members of Talent Mosti used to meet at the Oratory of the Sacred Heart in Mosta. “But we felt we had to move out when rumours were spreading that we were sidelining religion. So we migrated to a garage owned by Andrew Borda, who is a great fan of Hollywood films and film posters. Mr Bartolo got wind that the razzett was going to be demolished but with the intervention of the then Minister of Education Daniel Micallef, that barbarous act was averted. The razzett formed part of the state school nearby. 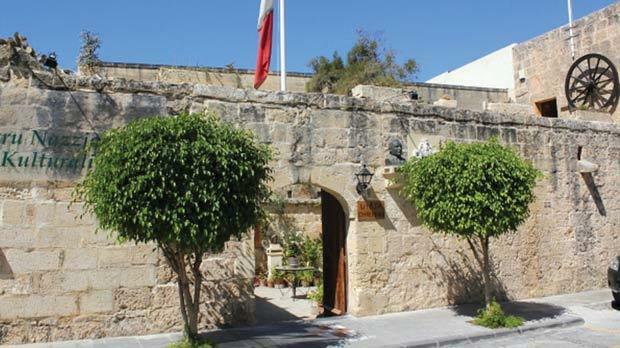 Another Minister of Education, Ugo Mifsud Bonnici, saw to it that the farmhouse be restored, and in 1996, yet another Minister of Education, Evarist Bartolo, passed it on to Talent Mosti. The property is state-owned and the activities are held in collaboration with the school council. “The razzett is my baby whom I’ve seen grow beyond recognition every day for the past 16 years. 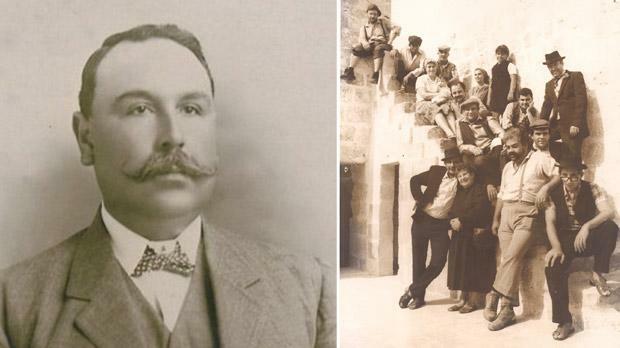 This haven is a gift mill-Mostin għall-Maltin – from the people of Mosta to the Maltese,” Mr Bartolo said not without a hint of pride and nostalgia writ large all over his face. Opening hours at Ir-Razzett tal-Markiż Mallia Tabone are Monday to Saturday from 6pm to 9pm; Sunday from 10am to noon and from 6 to 9pm.